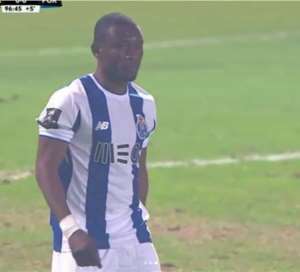 Striker Majeed Waris could profit from Soares dos Santos's injury at FC Porto for more game time. The Ghana striker replaced the Brazilian, who scored in the 5-1 win at Portimonense, in the 71st minute last Sunday. "Soares underwent a medical examination that confirmed a lesion in the left thigh, contracted in the game with the Algarve," a club statement revealed. This means Waris will be like-for-like replacement ahead of Friday night's big clash against Sporting Lisbon. Waris, who moved during the January transfer window from Ligue 2 side Lorient, has made four Portuguese Liga appearances.